Land Rover makes a good looking SUV. It’s only fitting that you upgrade the wheels to match the beautiful exterior. Diablo Daggers are a perfect wheel for this type of ride. There is a lot going on with the Daggers, but they are very symmetric and clean in form. That matches the Range Rover’s style. 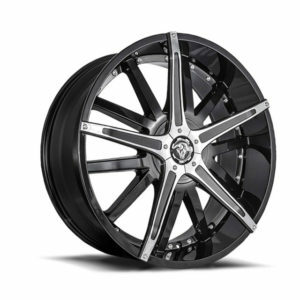 With these wheels, you have a bold set of rims that perfectly complement your stylish ride.